What to Expect at Your Disability Appeals Hearing - Harrison White, P.C. Awaiting your Social Security Disability appeals hearing can be nerve-racking: You’ve already received one denial and are waiting for a chance to make your case. Often, disability claims are denied administratively based on a disability examiner’s strict interpretation of the disability rules. With a hearing, you have the opportunity to speak to an administrative law judge and present information to explain your situation. In South Carolina, the average wait time for a hearing is 12.7 months, a long time to wonder what the hearing will be like. This is a month longer than the national average of 11.7 months. Your legal representative, if you have one, will be familiar with the process and can talk you through the day. He or she may also know the preferences of individual judges and the way they like to run their hearings. Thirty judges hear South Carolina Social Security disability appeals in three cities: Charleston, Columbia, and Greenville. 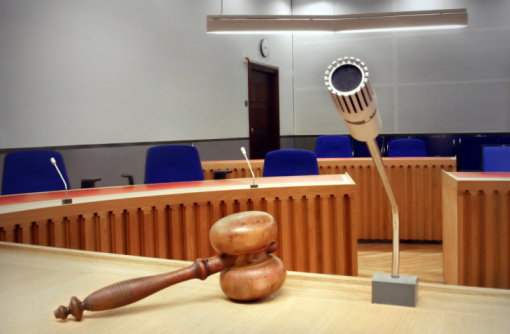 You may have the opportunity to file a pre-hearing brief, depending on the preferences of the judge. Usually the pre-hearing brief is put together by your representative and explains your case in legal terms. Hearings are conducted either in person at the office or via video conferencing. Both types of hearings have the same procedures. Approximately 80% of all South Carolina hearings are held in person. Your original hearing notice will tell you whether your hearing will be via video and whether you can request an in-person hearing, though this could lead to further delays and long-distance travel. Hearings are not held in a courtroom. The offices are smaller than a courtroom, and the hearing room is not open to the public. The only ones present are likely to be you, the judge, a court reporter, a vocational expert, your attorney, witnesses, and/or a medical expert. The proceedings are fairly informal, but there are some procedures that happen in every case. The judge will start by stating that he or she is “going on the record,” make introductions, and swear in any person who is testifying. Judges differ on how they like to proceed, but there certainly will be a time during the hearing when the judge will directly question you. When you have an opportunity to speak, it is tempting to go into great detail in telling the judge about your medical problems. However, it is very important that you keep your answers fairly short. Saying too much can be distracting, or you could accidentally hurt your case. The standard advice is to stick to answering the questions asked of you. Even so, it remains difficult to know which details make a difference. Having the advice of an SSD attorney serving Spartanburg and Greenville who has been through multiple administrative law judge hearings can be a great help to you. Approval rates can also vary widely by judge. To view your judge’s case rates, you can visit this website: http://www.disabilityjudges.com/state/south-carolina. Click on your office to bring up a list of that office’s judges. The judge may or may not announce a decision during the hearing. The judge may decide that he or she needs more time. If that happens, you will receive a written decision, generally within about two months. That can be disappointing after the stress of a hearing, but it is not uncommon. If you ultimately receive a dismissal or denial, remember that you are not out of options. It’s still possible to appeal your case to the Social Security Appeals Council. An attorney can help you with this step as well.